The Pope and the Bishops are Apostles. One of their primary roles is to teach the Faith. When controversies arise among the faithful, they have a right and a duty to decide which ideas are in accord with the Gospel of Jesus Christ, and which are not. The exercise of the teaching authority by the Roman Pontiff and the Bishops is the solution to many of the problems that exist in the Church today. Teach, do not certify. The Index of Forbidden Books became obsolete. The ease with which printed books can be written and published made the task of judging each book to burdensome. There is only one Holy See and only about 4 to 5 thousand Bishops. It would be too time-consuming and resource-intensive to evaluate every book by every Catholic. Another issue, which arose not long after the Index fell out of use, is the ease with which articles are published electronically. There are billions of websites. 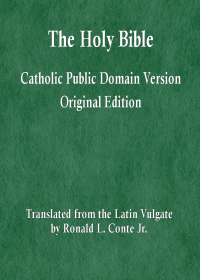 The number of sites expressing views by Catholics on Catholicism is very large. And new material is written and published online daily. So much new material is published online or in print daily that the Bishops cannot possibly evaluate each publication. So it is not a viable strategy, as a way to stem the flood of false ideas harming the souls of the faithful, to evaluate each publication, and issue an approval or disapproval. A more important problem, though, is that this type of approval or disapproval, whether it is the disapproval of being placed on the Index, or the approval of the imprimatur, is a fallible judgment of the prudential order. Some good books are denied the imprimatur, and some bad books are given it. This results in the faithful being led astray by errors in books with Church approval. Pope Saint John Paul II explains that grave errors on morality have become common among teachers in the Church. These are teachers approved to teach future priests in Seminaries and to teach theology at Catholic universities. It simply does not work, as a system to protect the faithful from error, to give approval or disapproval to books or persons or institutions (other than the Church Herself). We are all fallen sinners. A false teacher can always find other fallen sinners who will give them support and help them attain or retain a teaching position. A false teacher can always find fallen sinners who will insist that the false teaching is true. So the idea of giving websites certifications is not workable. Inevitably, many websites which promote grave errors will have the approval of some Bishops. A conservative site with conservative errors will have no problem finding a conservative Bishop to grant approval. And the same is true for a liberal site, or a traditionalist site, etc. On the other hand, a website with controversial ideas in speculative theology would not be able to obtain that type of approval. With the current culture of social media, minority opinions and new ideas are treated with suspicion and even fear. No one wants to propose a new idea, which is contrary to the prevailing opinion, due to the expected harsh response from this new cultural totalitarianism. The development of doctrine, which often begins with speculative theology, is being hampered by the internet culture, a culture that judges all things and rejects anything unusual. People take refuge in the majority opinion, knowing that a minority opinion might be treated harshly. And this makes the search for new and more profound insights into the deposit of faith much more difficult. Will a website dedicated to speculative theology receive such a certification? No, it would not. And even if it did, in the current climate, the Bishop who granted the approval would be peppered with complaints about the granting of the certification, until it was withdrawn. People expect to have power by sheer numbers, without regard to truth or justice. In place of a system of website certification, the Bishops should spend more time teachings. The Roman Pontiff should issues more document deciding questions of doctrine. The Pope and the Bishops should rebuke false ideas, and instruct the faithful to avoid, as teachers of the faith, those who teach condemned ideas. Instead of condemning books or websites, condemn false ideas and teach the truth. It would take alot of man power to view so much information, doesnt seem possible. Plus some websites usually have good writings but sometimes they will throw in a dud. It would have to be done on an individual writing basis, then hopefully it doesn’t get edited afterward. Are Bishops the only ones that can do such work? If not, this would be a good job for you Ron, and I could help you too =) . For the imprimatur, the Bishops delegate the task, often to persons I would not consider qualified. Inevitably, the certification process will be delegated to committees, and then it will be a matter of who has the better reputation, or influence, etc. Instead of approving or disapproving the websites, why not just rule that official channels can be followed without risk to the faith, and anything else is potentially lethal. The schismatics of the past didn’t have the ability to communicate their views so freely, and I believe that the fundamental nature of masses has not changed with technology or education–they readily believe anything that makes sense to them, rather than being able to entertain a concept without accepting it. “official channels” today are guilty of schism and heresy. So that is danger to the faith. In the past, when the Arian heresy was widespread, many local Bishops councils approved it, while Athanasius fought the heresy and was repeatedly exiled. Which official channel of the Vatican is guilty of schism or heresy? I didn’t think “official channels” referred to the Vatican. I thought you meant the Catholic media outlets. We can’t rely only on the Vatican. The faithful should discuss the faith, teach one another, participate in the development of doctrine. We can’t reduce everything to official channels. 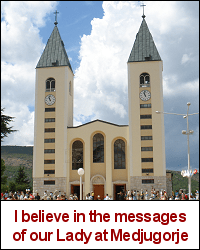 How did the Church manage before mass communication? The problem is that people accept what the Catholic media says, even when it directly contradicts the Pope and catechism, even when it foments schism. What would have happened if, say, Jansenists had influence all over the mass media? Before mass media, you depended on your parish priest to teach you the faith, and you also perhaps learned at a Catholic school. Now people can learn directly from the Holy See more easily, as they have access to information much more readily. But they still tend to depend on others to interpret for them.